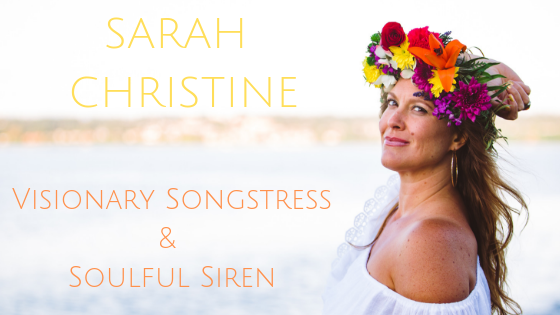 December 2, 2016 sarahchristinemusicLeave a Comment on LOVE Wins! I’ve been feeling a whole range of emotions and heavy energy as we approach the end of 2016. Are you feeling it? So much destruction, greed and darkness and yet at the same time so much love, generosity and light! There is much transformation and beauty that can come from darkness and pressure..I like to imagine the process a crystal or diamond goes through deep within the earth..in the cold, dark, damp, pressure induced environment. See what magnificent, radiance can emerge!?! Each of these Love revolutionaries faced tremendous injustices, violence and oppression while paving the way and showing us what is truly possible when we come together for the good of all. Right now we are being given an opportunity to stand up for our values and bring some awareness where currently there is a lot of ignorance, intolerance and hate. One example of this is in the uprising of Unity consciousness and peaceful activism by the thousands of peaceful water protectors currently at Standing Rock ND. At this moment they are experiencing extreme violence and injustices by the hands of our very own government who are more committed to protecting the big oil companies and investors then actual people. In spite of the horrific conditions the water protectors are having to endure, they remain peaceful, vigilant and nonviolent. They are defending the basic human right of clean water for everyone and raising their voices against the greed that is destroying the planet. I’m deeply moved and inspired by the show of solidarity and support this movement is generating on a global scale and it feels like just the beginning of a major shift that we are all needing to participate in. Water is LIFE! It’s truly an amazing time to be alive! Something I have come to understand in my own life is that regardless of what outside circumstances throw our way we always have the power to choose how we react and respond. We are responsible for our inner mindset as well as our capacity to give & receive love, forgive and have compassion. Which is why for me, music is such a healing medicine! Music truly has the ability to completely shift the vibrational frequency in our bodies and energy field, so when I find myself in those dark places of doubt, fear and uninspired busy-ness, I access the power of music to bring me right back into the core of my being, where my deepest truth can communicate with me and through me.Music has the power to dissipate stagnant energy within the body creating openings for our deepest intentions to take hold and amplify! Neuroscientists have even discovered that listening to music heightens positive emotion through the reward centers of our brain, stimulating those delightful hits of dopamine that can make us feel high or even elated. Almost no brain center is left untouched by music! The best way to illuminate the darkness is to shine light on it! So I’m choosing to cultivate, give & share more music, which generates more LOVE!!! How are you choosing be a part of the LOVE revolution? THANK YOU so much for your ongoing support along this musical path! I am honored to share this journey with you!